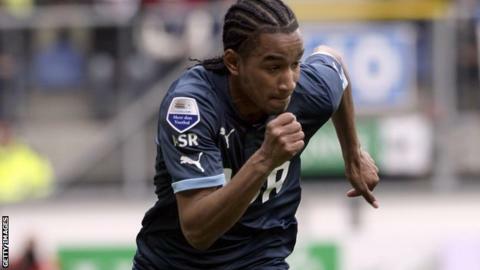 Swansea City have missed out on signing winger Jerson Cabral from Dutch club Feyenoord. The 21-year-old could have cost Swansea around £1.25m but Cabral has instead opted for a four-year deal with Eredivisie side FC Twente. Cabral came through the ranks at Feyenoord and has made 50 appearances for the Rotterdam club, who finished second in the Eredivisie last season. The wing had also been linked with a move to Tottenham and Newcastle. Meanwhile, Swansea completed Pablo Hernandez's move from Valencia, and the loan deal for Israel striker Itay Shechter should be rubber-stamped stamped before the transfer deadline after significant delay with the paperwork. New Swansea manager Michael Laudrup has already recruited Chico Flores, Michu, Jonathan de Guzman (loan), Kyle Bartley and Ki Sung Yueng. Andrea Orlandi has left to join Brighton and Swindon have taken Fede Bessone on a free transfer, while Scott Sinclair (Manchester City), Fede Bessone (Swindon) and Stephen Dobbie finalised their moves.